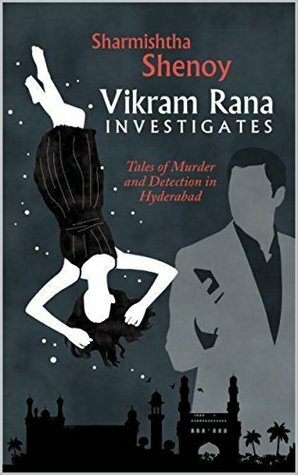 When the glamourous socialite Richa Lohia is poisoned in her mansion in Jubilee Hills, her brother-in-law hires his mate, ex-cop Vikram Rana, to solve this murder. This is Vikram’s first case and he, along with Inspector Gopi Reddy, must solve the case even if they face opposition from the richest and powerful family in Hyderabad, who would stop at nothing to defend themselves. When property developer Krishna Dhavala is stabbed to death in Necklace Road, everyone suspects Mrs. Dhavala to be the murderer of her alcoholic and abusive husband. But is that really the case? Vikram Rana and Inspector Reddy have a tough time uncovering the murderer and Vikram himself almost dies trying to solve this case. Experience the mystery along with the duo as they fight their way through the maze of lies, deceit and greed. From "The Mysterious Affair of the Lohia Mansion"
"Kinshuk sprang out of bed and followed his uncle, Rohan along the passage to his mother Richa’s bedroom. Rohan’s wife, Kiara joined them along with Richa’s personal maid Lakshmi and two more servants. Everyone seemed to be in a state of awestricken fear. Never had Kinshuk’s weak nature been more apparent, Rohan thought in distaste. Rohan rattled the handle of his sister-in-law Richa’s door violently, but with no effect. The whole household was aroused by now. The most alarming sounds were audible from the interior of the locked bedroom. Clearly something must be done." What could have been going on the room? What triggered it? Mrs Lohia was lying in her bed having seizures. In her agony she must have overturned the bedside table. As they entered, her limbs relaxed and she fell back on her pillow. "I cannot see properly" she complained. Rohan and Kinshuk looked at each other helplessly. A strangled cry from the bed startled them. A fresh bout of pain had seized Richa. The seizures were terrible to behold. At that moment dr Agnihotri pushed his way into the room authoritatively. At the same instant, Richa cried "Rohan.... Rohan" then she fell back on the pillows motionless. Why was Richa killed? Why did she take Rohan's name? "He reached the meeting place at 8 pm sharp. The headlights of his car revealed a woman in a burqa waiting by the roadside. She waved her hand. Krishna stopped the car and she got in. As she removed her veil, Krishna started in surprise. At the same time another man got into the back of his car. Confused, Krishna looked at the man. Then his eyes widened in fear." Whom did Krishna see? Who was the woman in burqa? 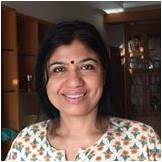 Sharmishtha Shenoy loves writing murder mysteries, the kind of books that she herself likes to read. Her favorite authors are Sir Arthur Conan Doyle and Agatha Christie. She also likes the work of Satyajit Ray – especially the Feluda Series. She was born in Calcutta and has done her post-graduation from University of Reading, Great Britain. She lives in Hyderabad.